The large AFI CITY project is under construction in Vysočany, Prague, in close proximity to Kolbenova Street. Step by step the location is witnessing the emergence of a complex and modern quarter, providing its residents with everything necessary, from full civic amenities to the peace and quiet of green areas. The four apartment buildings of the first phase of the Tulipa City residential project will be ready for their occupants as early as in the first half of 2018, offering a total of 257 well-appointed apartments ranging from 1+kk (studio apartment) to 4+kk (3 bedrooms). The follow-up construction of the second phase will bring an additional 216 new apartments in two new buildings. All of the apartments offer a generous layout whilst still largely emphasising the space saving concept as well as the efficient use of all of the space in the apartment. Almost all of the apartments boast loggias or front gardens with terraces or rooftop terraces. Stretching over a vast area of 15 hectares, the brand new city quarter, which is gradually being built on this location, was designed by the renowned CMC Architects architectural studio. 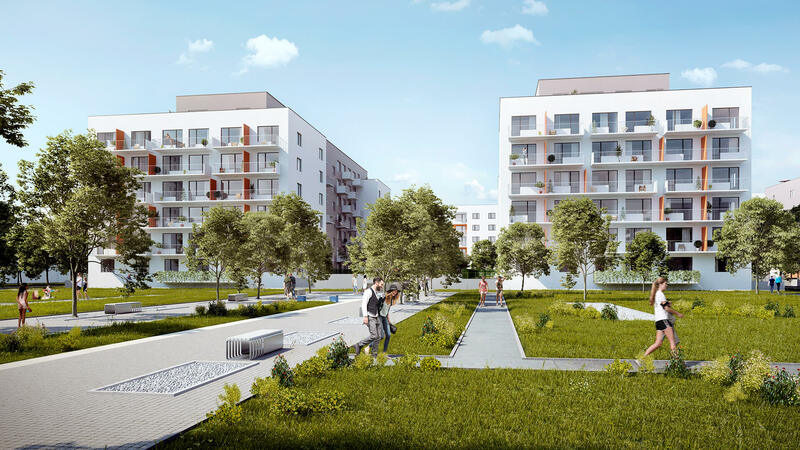 The project is situated on the plots of the former ČKD industrial grounds in the attractive Prague locality of Vysočany, offering a direct connection not only to the underground or tram service, but also several main roads heading off from Prague to the north as well as the east. When finished, the complex will comprise 20,000 m2 of residential buildings, 90,000 m2 of offices and 18,000 m2 of retail space interconnected in a way allowing the residential part to stay optimally separated from the hustle and bustle of commerce, yet retaining the essential links to services. Obviously, there will also be the necessary infrastructure, public spaces full of greenery and a cycle path.